Colorado Springs, Colorado. May 20, 2014 – Today, Gov. John Hickenlooper signed a bill into law that will help expand aerospace industry growth in Colorado by creating a sales and use tax exemption for equipment used in space travel. Gov. 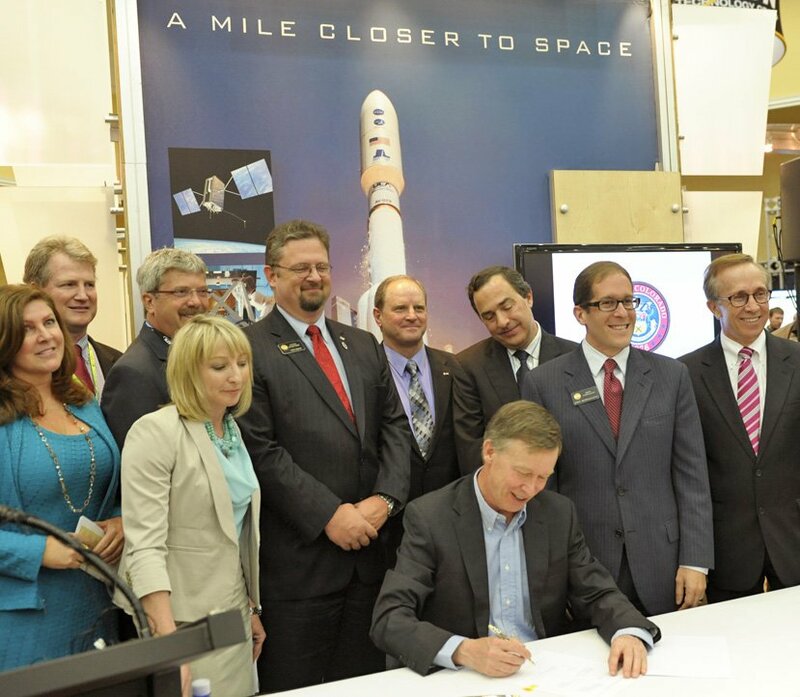 Hickenlooper was attending the 30th Space Symposium in Colorado Springs when he signed House Bill 1178 — Sales & Use Tax Exemption for Qualified Property Used in Space Flight. The new law includes an exemption for space vehicles, propulsion systems, and property used in satellites or a space station. Similar exemptions are already in place in handful of other states, and given that Colorado has the nation’s third-largest aerospace economy, the bill is part of the state’s strategic initiatives to support and grow one of its strongest industries. The state has seen an impressive 17 percent growth in aerospace employment during the past decade, and Colorado now ranks first in the nation for the number of private aerospace workers per capita. Aerospace is also one of the state’s highest paying industry sectors, with aerospace workers making an average annual salary of $127,000. With the national aerospace industry landscape changing due to flat or declining federal budgets, states must place a greater emphasis on stimulating competitive opportunities for private-sector growth within the industry. Companies that produce multimillion dollar satellites and space vehicles will now be able to store the equipment in Colorado without being taxed, encouraging companies to bring even more investment and projects to the state.